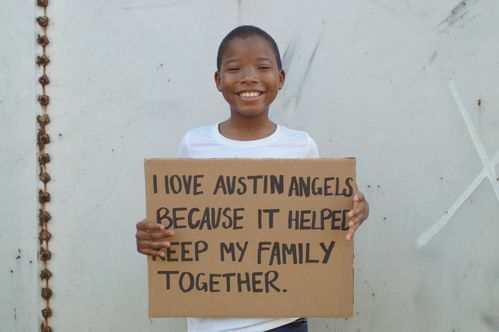 When an Austin Angels Love Box leader and their group began to sponsor Carol, they quickly realized her desperate need for support. Not only financially, but emotionally. Carol is a loving and devoted single foster mother who cares for five children. These children have been placed in Carol's home as a fictive kinship placement. This means that Carol does not receive the same financial support as an unrelated foster parent. All four children are distant relatives, two of which she never met until they were placed in her care. Carol was matched in our Love Box program in October of 2016. 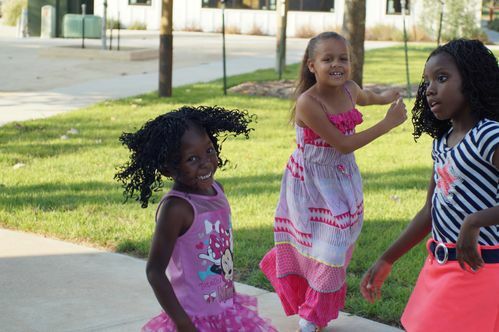 Each of her four foster children are well behaved, happy, and doing well in school. Carol has raised these children as her own since they were toddlers and in January she was ready to adopt them. However, the Department of Family and Protective Services did not allow the adoption to take place due to the living conditions of Carol’s home. As a single mom, she had just enough money to break even every month and if anything was left over it went to the kids. Carol’s Love Box group were passionate about Carol keeping her foster children and coordinated a fundraising plan to help Carol improve the living conditions so that she could adopt her children. If Carol’s home did not get the repairs needed, then the four children would have been removed from her home and would more than likely be separated and re-enter back into the foster care system. 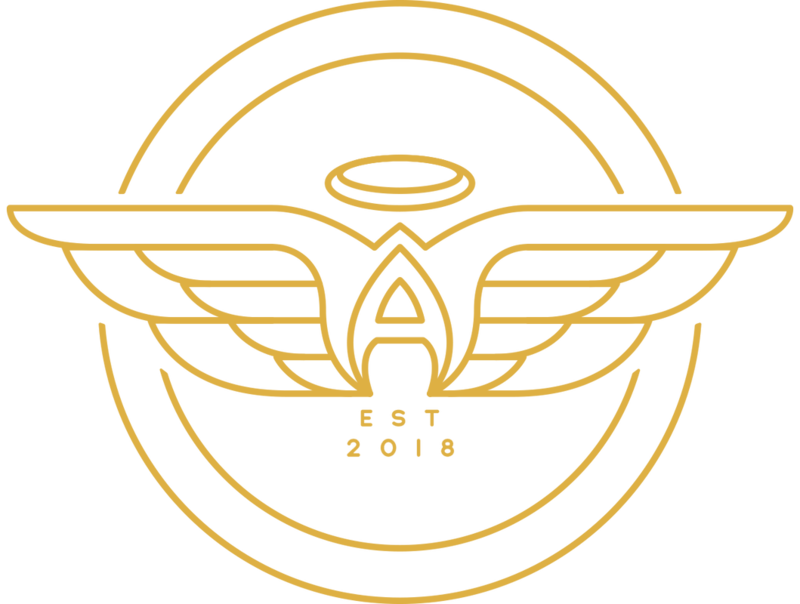 Four months after fundraising began, Carol’s Love Box group and the Austin Angels community raised $26,000. 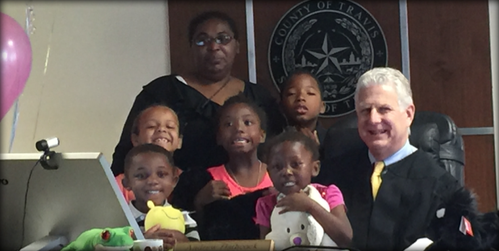 With that money Austin Angels purchased a new manufactured home in a wonderful community within the children’s school district. She has moved into the new home and has adopted her children. She went from a foster family to a forever family because of the Love Box program. The Love Box group has been with Carol every step of the way and did a grand reveal where Momma Carol put her fist up in the air and yelled “THANK YOU GOD” when she opened her new front door. Now she can focus on what she does best; being a loving mother and not worry about her children being pulled from her because of her home.